Unfortunately, we lost a life member of WAPL recently, much to all of our distress. 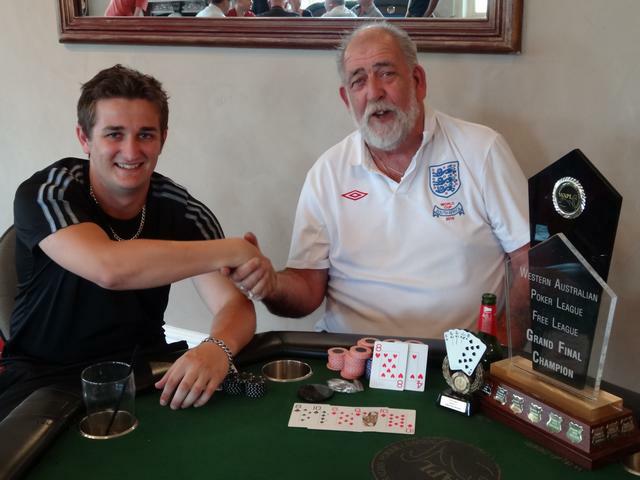 Larry Gane has been a regular Free League player for over 6 years, and his smiling face and great banter brightened many of our poker nights. He was a Free League Grand Final Champion (Season 21), and everyone respected and admired him. Furthermore, Larry was Permit Holder for many years, taking responsibility for and helping with the licensing side of our poker events. Without his effort and reliability, many of our Pro League events could not have run as efficiently. Larry's unexpected passing is a great loss to us all, and on behalf of ourselves and all WAPL Members we would like to give his family (including his daughters Sarah and Elizabeth who are also regular players) our deepest condolences on the loss of a great family man, friend, and gentleman. The number of fellow poker friends who attended his funeral last week attest to how much respect we all had for him. On Tuesday 16th September, we will be holding a special double stack Free League tournament in Larry's honour, and there will be some great bonus Passport Prizes available in addition to our regular prizes. Please join us to help celebrate Larry's life from 6pm (registration), starting 7pm, at the Beaumaris Sports Association. Larry (right) at his Grand Final victory!